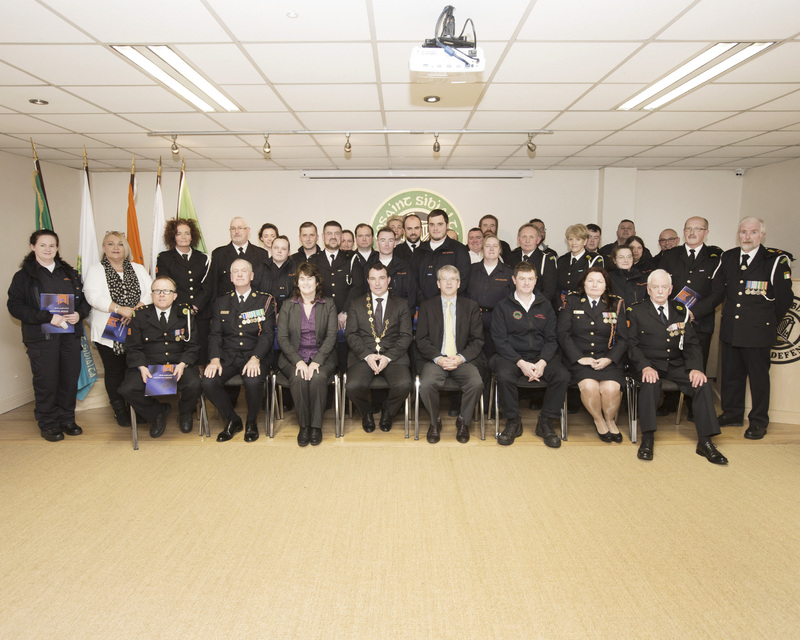 Limerick Civil Defence held their annual awards presentation ceremony on Tuesday 22nd January at their headquarters on the Dock Road. The Mayor of Limerick Councillor James Collins presented a large number of certificates to both newly recruited and long standing members of the organisation. Also present at the ceremony were Caroline Corley representing Limerick City and County Council, Ken Crowley representing Limerick Fire Service and Aidan Dillon representing the Department of Defence. Many thanks to CDOs Cecilia O’Flaherty and Jos Kirby and to all the volunteers and instructors for their dedication to their training throughout the year.